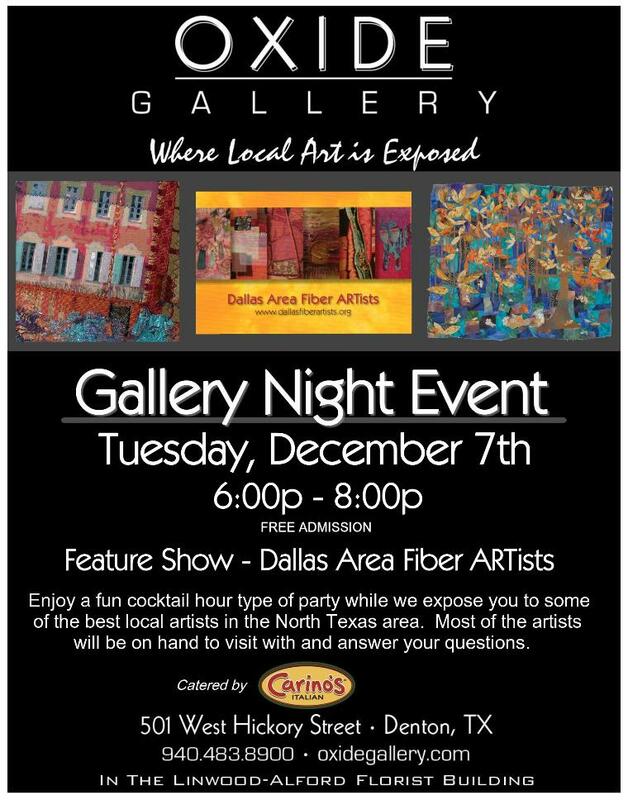 The Dallas Area Fiber Artists will be holding a show at the Oxide Gallery in Denton, TX, the month of December 2010. If you are in the area, be sure to come by and see the show and buy some beautiful artwork! There is a wide venue of artwork by the artists, everything from paintings, to art quilts, to wood sculptures. 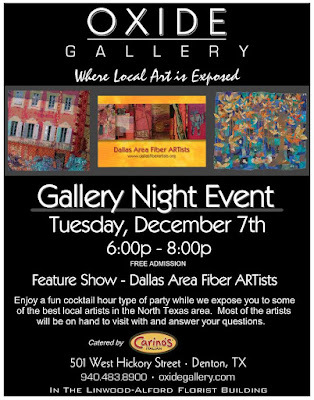 Come join us for Gallery Night, December 7th, 6pm to 8 pm.